You probably reach for your comfortable sneakers when you'r ready to play. When you're ready to work, you need to reach for these Reebok Men's RB6765 Trainex EH Waterproof Puncture Resistant Composite Toe Boots. They look like comfortable sneakers, they feel like c ... (see full details) (see specifications) #RBKRB6765. You probably reach for your comfortable sneakers when you'r ready to play. When you're ready to work, you need to reach for these Reebok Men's RB6765 Trainex EH Waterproof Puncture Resistant Composite Toe Boots. They look like comfortable sneakers, they feel like comfortable sneakers...but they act just like a tough, safe pair of work boots. These ankle-high, black Reebok safety toe boots are constructed with full-grain leather. The water-resistant leather feels soft and supple, but don't let that fool you. The material is tough and durable, and capable of withstanding wind, weather and other dangers. The white center stripe down the tongue creates contrast against the black design. Breathable Tailex material surrounds your feet to create a breathable, comfortable interior while in these puncture-resistant boots. But it's the StarGuard membrane that really makes the difference. This waterproof layer protects you from bad weather and moisture, keeping skin dry and healthy. These 6-inch Reebok boots are also puncture resistant, to protect you from nails, glass and other unsafe objects you might find in your path. Plus, they are built with all sorts of features including non-metallic, ASTM F2413 compliant composite toe, electrical hazard, puncture, abrasion, chemical, heat, slip and oil resistance. So, whatever your safety fancy, these black boots have you covered. Lightweight EVA foam was used to make the cushioning inserts of these Reebok boots. Together with the sponge rubber heel wedges, the foam absorbs impact to soften and cushion your stride. The dual-density outsole is made to further soften those steps. It's made with an EVA midsole layer to more airy spring in your step. The rubber traction bottoms on these composite toe boots resist shock so you'll rebound from impact. The 90-degree heels help give you a better grip on ladder rungs in these waterproof boots. Heel airbags on these Reebok shoes add a core of weightless shock absorption to further take the pain out of stepping, walking and working. The 100% non-metallic design is complete thanks to the composite safety toes. Composite won't conduct heat or electricity like steel, but it will guard your toes from dangerous impact and compression. Reebok RB6765 Trainex EH Waterproof Puncture Resistant Composite Toe Men's Boots look like your comfortable old sneakers, but they're got all the best features of the newest work boots. If you liked the Converse C6765, then you will love the Reebok RB6765. These Reebok boots are the best! Very comfortable all day long. Little to no break in time. Boots felt good on my feet the first day I wore them.Composite toe is light weight and does not get cold like my steel toe boots. I work outdoors around water so being waterproof is a must. All the safety and comfort features in one package. Will definitely be back for another pair. Highly recommended. This boot is not only functional, but lightweight and looks good. Solid sole on wear and flexible; unlike other boots I've worn that are heavy, and soles cracking in less than a year. Really the best thing yet is the lightweight. being that it's light weight makes it easy on the knees too. 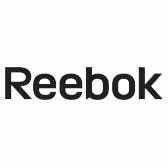 Thank Reebok...you rock! Great boots! I recommend this product 100%. I tried all kind of boots, but those are really good. I work outside in a very warm weather and these boots keep my feet comfortable all day long! They are very light, too and they keep my feet dry all day long. The waterproof insulation is very good, too. I've tried all kinds of boots through the years and let me tell ya,these are the shizzle, I'm on my feet up to 16 hours a day and after a long day with these boots I could go hang out at the bar or start a project at home for the old lady without any discomfort, I would highly recommend these puppies to anybody looking for a comfortable, durable, safety boot. in my trade it is a necessity that I have osha approved safety shoes, the composite toe is perfect for me ,plus light enough to cruise all day. Right on Reebok. Reebok Boots: Men's RB6765 Trainex Waterproof EH Composite Toe Boots is being added to your cart.